More albino children are going to move in our new house in Tabora! That’s why our house must be supported and carried on! Don’t be indifferent to this cruelty… Share and give these children a voice! 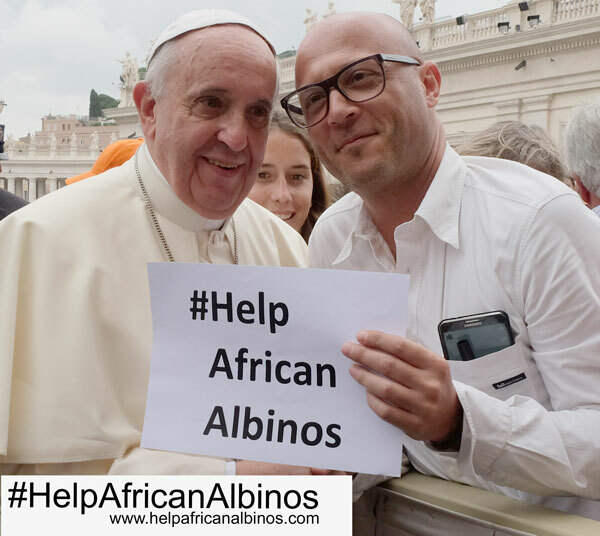 Even the Pope joins the (sustainable) campaign for African albinos! Anyone can participate online #HelpAfricanAlbinos simply donating their voices and reading a few sentences of the book Shadow White Cristiano Gentili.